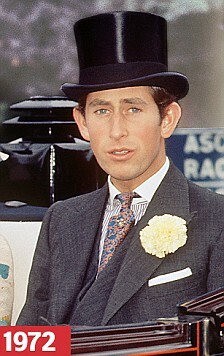 "Trust not," warned Carlyle, "the heart of that man for whom old clothes are not venerable,"
For those interested in clothing, today's birthday boy, Prince Charles, the original clothing recycler, is heaven sent. Consider his wardrobe. 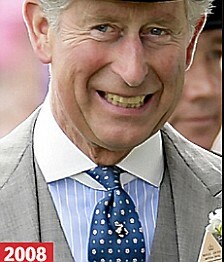 Poster boy for keeping your size in check, much of his wardrobe is older than his children. It's alleged that most of his tweeds belong to his grandfather, King George VI. Below are a few photos of his favorites through the ages. The photos above from Maxminimus and the Anderson Sheppard book, taken certainly within the past several years. A handsome jacket. Ever seen it before? 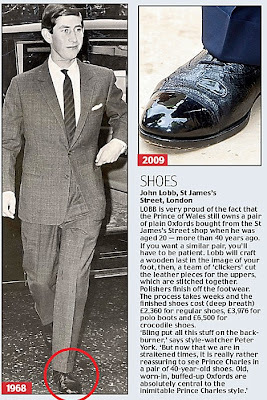 HRH is not above getting full use from his John Lobb Oxfords. Going on 40 years now, and just about broken in. Something sporty for Royal Ascot? Charles isn't amongst the wear it once crowd. 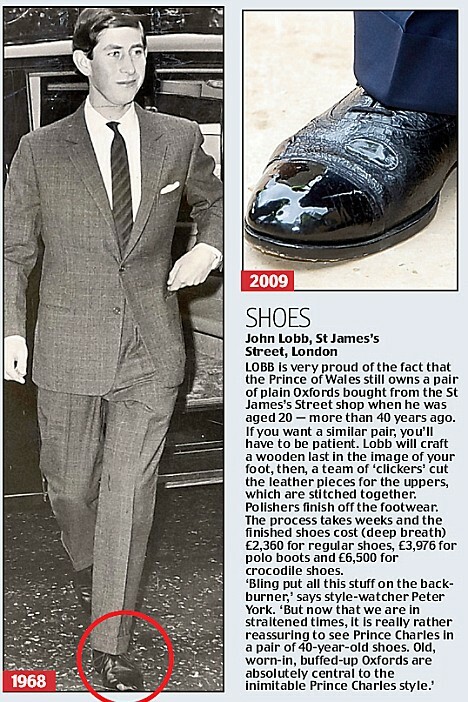 Hatter James Lock is next door to John Lobb. Not that he gets there often. Early on he latched on to what was then the unfashionable double breasted suit, and made it his own. 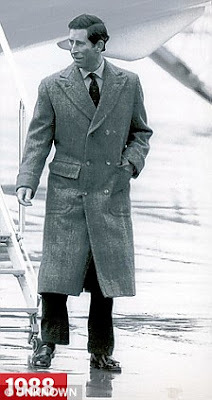 His style, was no style yet over time it became HIS style. It works beautifully. 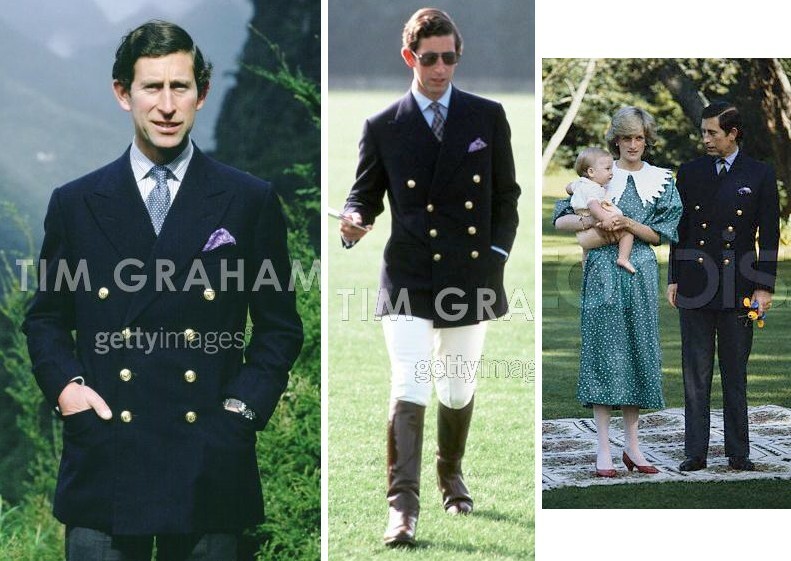 He is rightfully one of the best dressed men on the planet, due primarily to unerring consistent taste nurtured over a long time. Tweed rules. 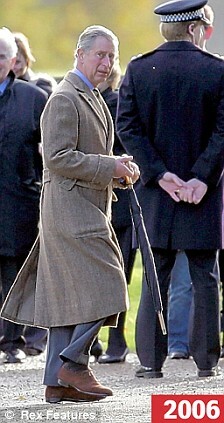 Old tweed that is. Harris. 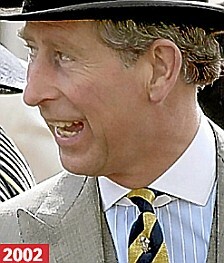 Inherited tweed? I should be so lucky. 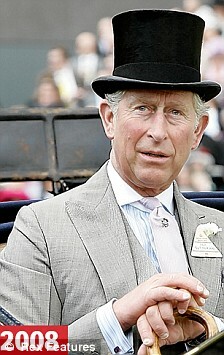 By far, one of the best dressed & style savvy men we ever have in the UK. Often overlooked in many "Best Dressed" lists. 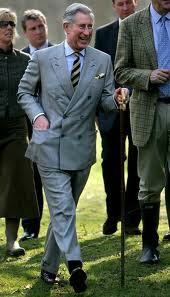 Also one of the most maligned men in recent history.Best wishes to HRH. Great blog Toad. Although the opening photo must have been taken shortly after he had eaten something gone bad. He was quoted last week as telling some fashion models during his South African trip that he changes his style "only about every 25 years". It seems he overestimated. 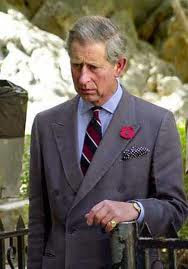 I had the privilege of taking tea with HRH several years ago at Highgrove and I thought I'd let you all know that his shirt was very frayed at the collar in the area where it hits up against the necktie. 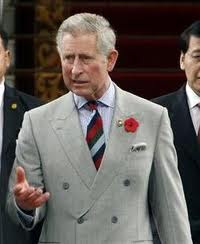 Another odd observation: his Prince of Wales suit included a belt which was made of the same fabric as the suit! Do I want to be a pincushion?